Like all good fairytales, the visual stylings of this production mix all manner of beauty: Beaux Arts architecture, Hudson River school landscapes, and great pops of art nouveau geometry, like a suspension of swollen lilac buds to signify the descent of the 100-year slumber. Bakst’s colors and patterns launched Hudson into an orgiastic exploration of costume material and color and court style: certainly some of the most breathtaking tutus to grace a dance stage, the outfits feature every manner of material and embellishment (lamé, satin, brocade, braids, feathers, gilding, crowns, turbans – the list is endless). 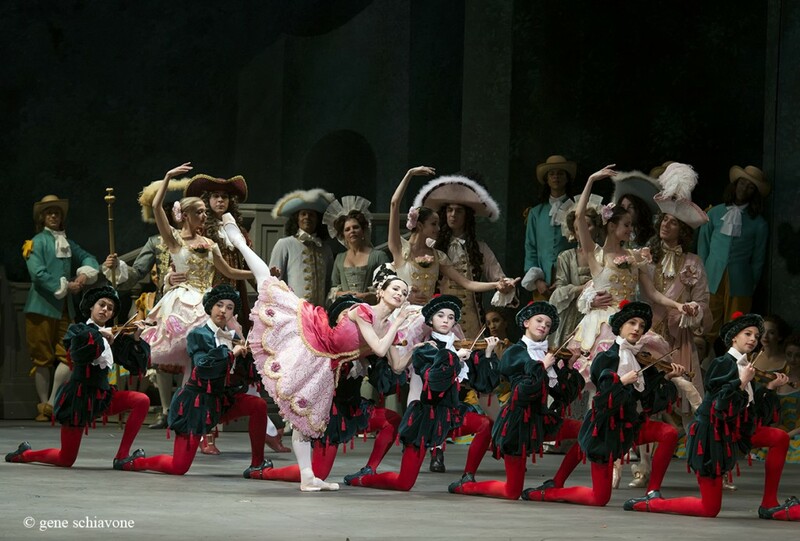 Already highly pitched in their Act I chrysalis stage, the costumes take higher flight in the latter “modern” period, with courtiers in unisex fluted bell skirts, cowboy boots, and fringed graduation mortarboards. You need to see it to believe it. Nineteenth century Petipa makes for a strangely brave and bracing tonic to all this visual density and opulence. Though highly specific, many of the phrases are unshowy and repetitive. There are many simple walking patterns. The Romantic stylings are gentle and yielding: arms and legs held low, leaps kept close to the ground, just two or three pirouettes, no more. The timing on Aurora’s partnering turns has a funky hiccough: she’s slower than usual as she turns, then hits her side drop so quickly, she looks like a film that’s skipped a frame. 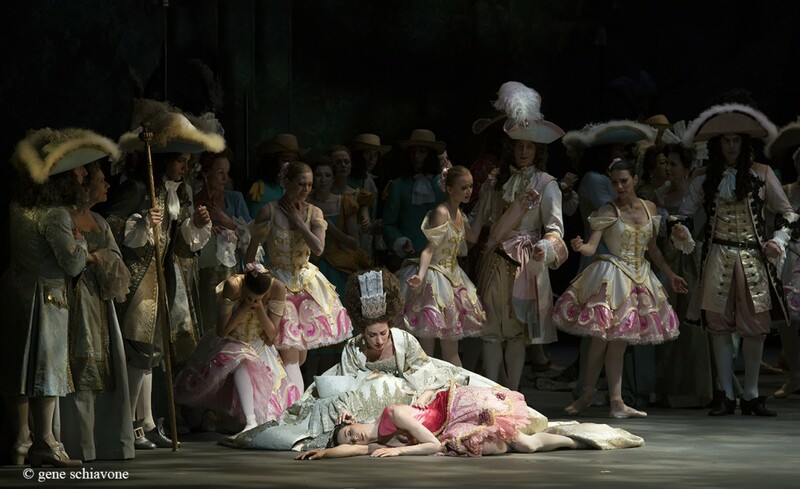 Diana Vishneva (Princess Aurora) and Marcelo Gomes (Prince Dsir) in Alexei Ratmansky’s The Sleeping Beauty. Photo: Gene Schiavone. Vishneva, like this production, is historic. Her body seems to have morphed for the role: her torso undulates forward in timeless Romantic dips, her two arms loosen and float together stage left as her body leans right. Her upturned head gesture, so coy at first, becomes the crowning glory of her final feather-light fish dives. Both in partnership and in his solos, Gomes seems to have an enhanced fluidity and specificity. The pair lead the company in a quality of sustained, engaged performance that illuminates every humble gesture. Even the score sounds different — lighter, more oxygenated — set against this gentle effervescence. Misty Copeland and Sarah Lane, as fairies, demonstrated other basic ballet gestures taken to new heights, like bourees and toe-hopping and excited leaps. 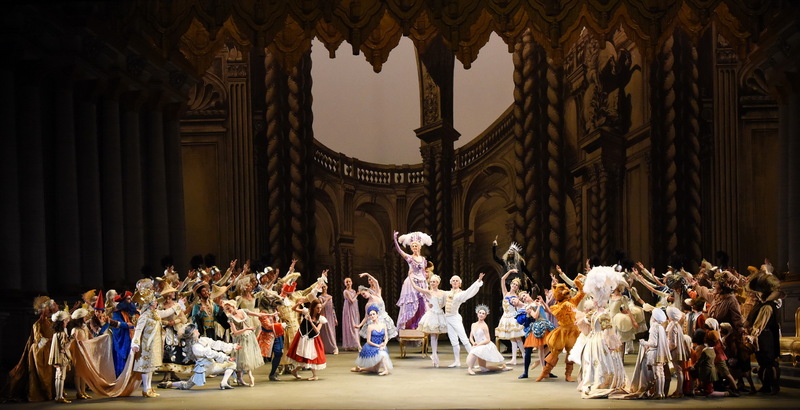 Balletomanes who wish they might have seen Carlotta Brianza and Anna Pavlova and Nijinksy all rolled into one — somehow, now, they have that memory, and it’s glorious. Following Petipa’s original notation, the dancers step into their humble final poses. Photo: Doug Gifford. The tradeoffs here – sacrificing heroic steps for airy delights, parading dozens and dozens of costumes around the stage – makes for a chewy braid of discussion that audiences and critics will surely debate for a long time. What a gift, in this day and age when ballet companies are morphing into more “contemporary” ones, to be mulling over questions about ballet.